Summer Sessions Are Forming Now! This summer, the rink will offer two sessions of Summer Youth Skills and Goaltender Training. Details are included below. If you have any questions about the format or program, please contact our Hockey Director Chad Ziegler. His contact information is on the right. This is a great program for beginner and novice players to improve their abilities on the ice. All facets of the game, from individual skills to team play, will be covered. 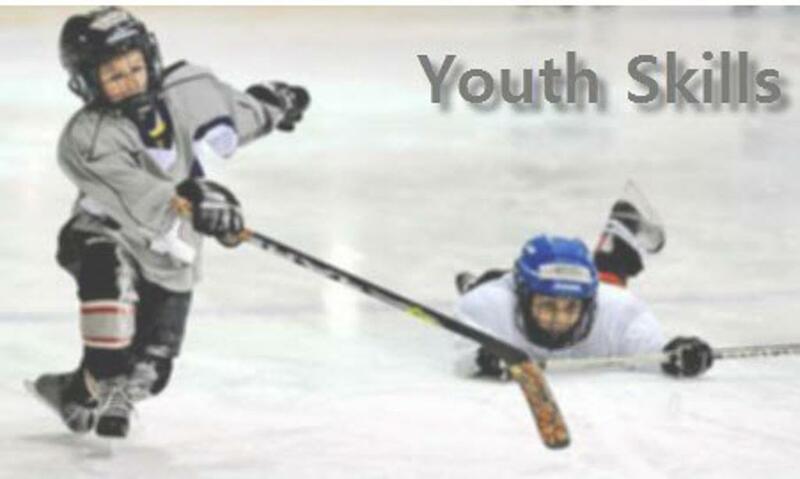 Our knowledgeable instructors are all youth hockey coaches and have competed in higher level hockey as well. TIMES: Beginner Skills and Goaltender Training at 9:00 AM and Intermediate Skills and Goaltender Training at 10:00 AM. PROGRAM FOCUS: Focus is on skill development. All areas of hockey will be worked on. INSTRUCTORS: Chad Ziegler, Chris Wetzel, and Alex Sweeney. Evan Jones will be the Goaltender Instructor. COST: $80 for one six week session.